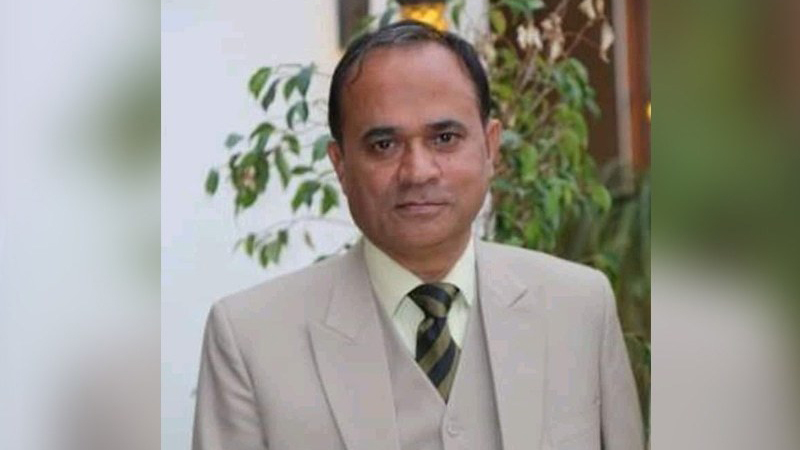 The head of the English department at Bahawalpur’s Government Sadiq Egerton College, Professor Khalid Hameed has been murdered, after far fetched accusations of blasphemy. The professor was seated inside his office at the college when he was accosted and attacked with a knife by a student. According to initial information noted by police at the crime scene, Khateeb Hussain, a 5th-semester BS student enrolled in the English department, had exchanged harsh words with Prof Hameed in the morning over arranging of a ‘welcome party’ at the college. The event, which Hameed was overseeing, was to be held on March 21 to welcome new students to the college, police said. Police sources told the TV channel that Khateeb was averse to the event being organised because he viewed the mingling of male and female pupils at the function as ‘un-Islamic’. Following an argument, he stabbed the professor in the abdomen and head, police said. Hameed was taken to the Bahawalpur Victoria Hospital, where he succumbed to his injuries. Police have arrested the suspect, along with the murder weapon. In a video confession, the suspect, aged around 20, identifies himself as Khateeb Hussain and says that he attacked the English professor because he allegedly spoke against Islam. In response to a question, he says he assaulted the teacher with a knife in the office where he was sitting. Both of the suspect’s hands are bandaged, indicating he received knife injuries during the scuffle. When informed that the professor had died at the hospital, the suspect expresses satisfaction with his actions. He is then questioned on why he did not use a lawful way of voicing his complaints against the academic, to which he responds that the country’s laws are ‘freeing the blasphemers’. When asked if he regrets his actions, he expresses no remorse. Although a complaint has been filed by the deceased professor’s son for the registration of a first information report (FIR), police said a case will be formally lodged once the report of the postmortem examination performed on the victim is received. In a press release, the Punjab Professors and Lecturers Association strongly condemned Hameed’s murder. It demanded that the district administration bring the perpetrators of the crime to book under anti-terrorism laws within 10 days. It also asked the district and college administrations to take steps to ensure the safety of the teachers. Meanwhile, Punjab Chief Minister Sardar Usman Buzdar has taken notice of the incident and sought a report from the RPO Bahawalpur. In a statement, he also extended sympathies to the bereaved family.